Duncan Dental 1992 LTD began as A&P Dental Lab in 1953. They were known for fabricating full and partial dentures for local area dentists. A local dental technician, Bob Major purchased A&P Dental Lab in 1967 and changed the name to Duncan Dental. 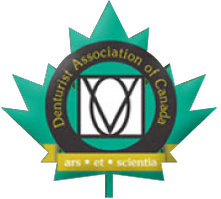 After becoming certified as a registered denturist, he began serving the general public and changed the name to Duncan Dental Ltd.
Our current owner, Robert Fortunat joined Duncan Dental in 1990. In 1992, he purchased Duncan Dental and changed the name to Duncan Dental 1992 LTD. Bob Major continued to work for Robert until his retirement in 1996. In the summer of 1995 Robert required a larger office space to accommodate his growing business. The office was relocated to our present location at 100-321 Festubert Street. Today, our business continues as a family run operation with Robert’s wife Dawn and daughter Robyn (who created the Denture Dude Logo). Robert has sought to provide Cowichan Valley high quality and well-fitting dentures. Robert believes the highest compliments come in the form of a patient referral. Whether you want to learn more about the types of dentures and dental implants Robert offers or to schedule an appointment, give us a call today. We appreciate your feedback and word of mouth referrals. Your positive experience at our clinic is our best form of advertising.